I’ve installed the yard fencing on one of the intermodal boards, along with some basic weathering around the loco storage shed, ie. oil spills around the oil tank and fuel hoses and oil stains on the tracks. 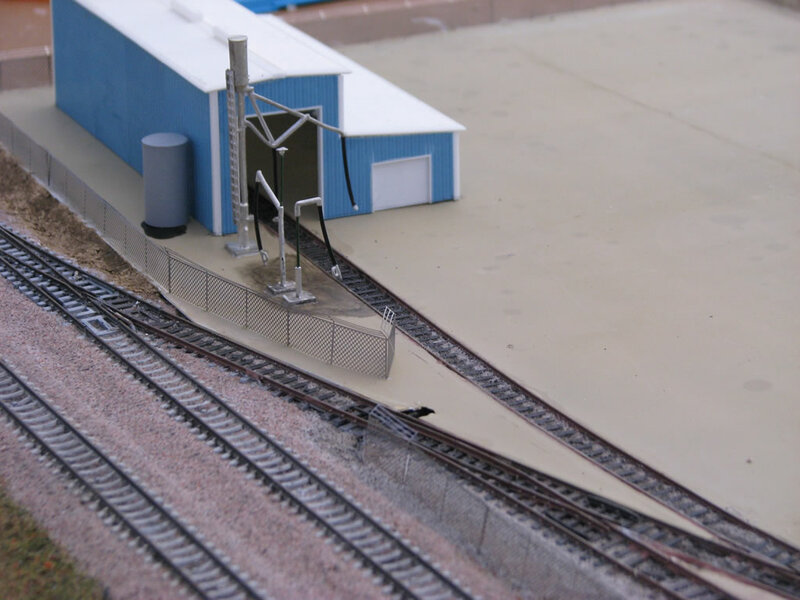 I have also added the Mi-Jack lanes on the second intermodal board, and will be installing the fencing on this board later today. 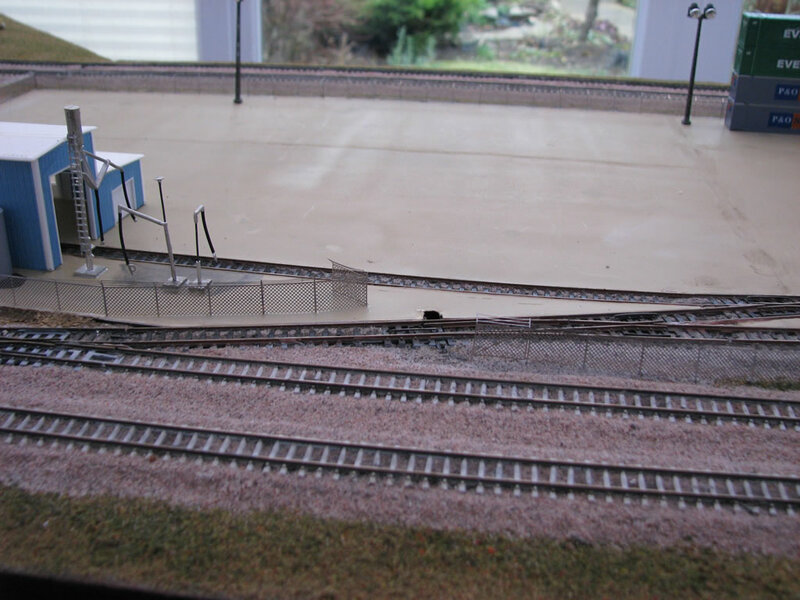 On Monday I will be putting the whole layout together (one of the intermodal boards is out to give access to the garden! 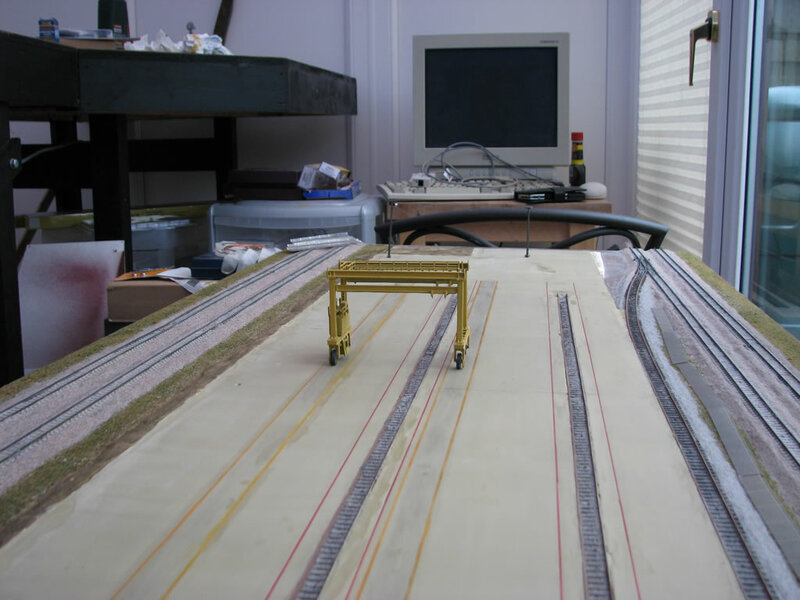 ), clean the track and give it a run to make sure it all still works…!Â My task then will be to add the layout plan to Railroad & Co. and to set up a display panel to check that all the point motors and block detection work as expected and to set up a basic automation plan for the show. Right, time for a cup of hot coffee (it is freezing out in the conservatory!) and then on with the work!